Ari Cube Spiro is a typeface one should play with IMHO. There are two styles in this family: regular and bold. Bold is kind of outlineish, extruded, stampstyle font fits perfectly on top or under regular one. Giving thus possibilities for coloring options. The way I like to use Regular Spiro is to make some words, make fonts to paths, ungrouping, break apart, select all and give selected paths random color. And this all as a vector graphic. 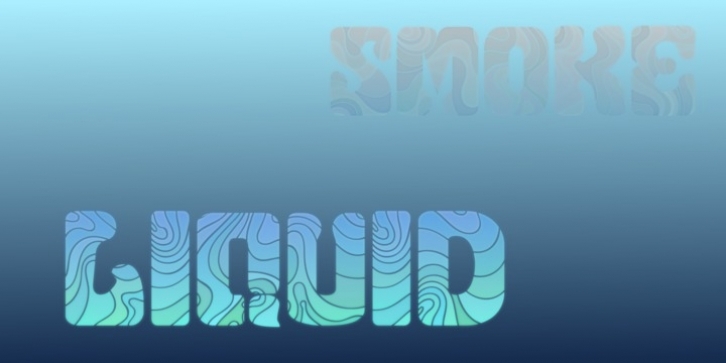 Use this font to create awesome hippie, surfing, book covers, album covers, retro stuff, liquid kind of things and wine bottle labels. I consider this typeface family original and unique. There is no kerning with the AriCubeSpiro typeface family, since fonts are designed to overlap each other! AriCube typefamily will play well with this font.